Hello, my name is Assunta. I am a wedding celebrant or what many call, officiant. Originally from Italy, from where I was born and grew up on the beautiful island of Ischia, I moved to the United States in my 20’s and to the Pacific Northwest a few years later. Since 2011, I have had the honors of marrying couples. In December 2012 I witnessed the passing of Ref74, which gave same gender couples the right to marry. I am hoping that one day- everyone, everywhere will have the right to marry the one they love. Although I live in the beautiful Pacific Northwest, I do travel free of charge unless I need to get on an airplane or go out of state. If that is your situation, we can talk about travel fees. I speak Italian as well as English and can officiate your special ceremony in Italian. I am also a make-up artist and licensed esthetician and can easily include those services in your wedding. I marry couples of all denominations and same gender. I believe that love knows no gender and should be celebrated in every form. But, enough about me, What is your story? How can I make your day memorable? See below a list of possible choices. Of course, if you do not see what you want or need, I can customize everything. Your wedding day should be spectacular and an occasion to remember, therefore if you need a last minute, small wedding with just family and a few friends or if you are eloping, I can help to customize a short and sweet ceremony, which is both memorable and romantic. Let me know your needs, wants and likes and I’ll be happy to help make your special day, a memorable one. No matter how big, how small, how different and how creative. I have no limits. Something Different and Oh! So very Romantic! Elope to Italy or not elope to Italy, have a full wedding there. I can make it happen. Remember I am from Italy and have ALL the connections we need to make your special day an amazing fairy tale event. I am in partnership with a wedding and event planner and consultant. Elite Weddings is from Italy and we can make things happen. Just say the word –Italia! I happen to be married to a photographer and not just any photographer. 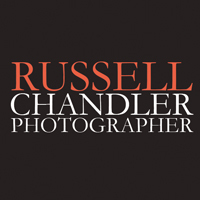 Russell Chandler has been photographing people and the world for 30 years and has been on assignments all over the globe and can be easily convinced to photograph your wedding. So, if you are in need of a photographer, in the United States or in Italy – let me know. To reserve a date for your ceremony: I accept cash, check or Credit Cards in person. Please note: Your date and time are not reserved until I receive your booking fee of $200. All booking fees are applicable to the total fee and are non-refundable. Your balance will be due one month prior to your wedding date. If you have to cancel your wedding date for unforeseen circumstances, I am happy to reschedule for another mutually agreed upon date. This offer will expire two-months from your wedding date. I am usually pretty booked-up, my suggestion is to reserve a spot as soon as you decide on the wedding date. Sometimes, I have the privilege to officiate a last minute wedding, so please. Do check with me on dates. I charge $425.00 for local weddings, up to 50 miles from Skagit Valley, WA. There will be a slight increase of fee if I need to travel outside the 50 miles. A medium increase if I have to travel out of state. A bigger increase if I need to get on an airplane. If make-up is needed for the bride, my fee is $125.00. For bridesmaids add an additional $50 per person. We can talk about fees when we need to talk about those fees. One thing you can be sure of is that I will do all I can do to immortalize your special day. I will work with you, be there for you, answer your questions and make my part as easy and stress free as possible. Looking forward to meeting you! Thank you for reading my ranting’s! DREAM SHOOT – ITALY. Don’t Dream it – Live it. Don’t Dream it – Live it. In 2018 we’ll be offering an a Dream Shoot in Italy. Have you ever wanted to be Vogue? This is the next best thing – and the memories will be immortalized in a hand-made Italian album, folio and wall art. It is part tour, part photography shoot and a whole lot of fun, food and wine. This is a customized and individual tour through several locations and regions in Italy and an editorial styled photography series in those locations. Stay tuned for details, pricing and dates in December 2017. This newsletter will be a little different. We will deviate from the usual photography subjects and focus on things like our trip to Italy. Spring being finally here. As for our trip, we have decided to talk about the wines we will be tasting and enjoying while having some delicious meal and overlooking a gorgeous breathtaking vista or in the company of some of the colorful, full of passion, locals. First let us tell you what to look for when purchasing Italian wines here in the US or abroad. Make sure the seal with the letters DOC or DOCG is on the bottle you want to purchase. What is DOC and DOCG and why they are important? The letters DOC or DOCG mean Denominazione di Origine Controllata and Denominazione di Origine Controllata e Garantita, the latter superior to the first. They refer to government guarantees of the wines origin. If those letters are not on your bottle, you will not know who, and where the wine was made. Tuscany has been taking all the credit for amazing wines in Italy, the south regions have been overlooked, when in reality, the sunny south is the perfect place for some amazingly delicious wines. Let’s look at some from the area we will be visiting…Grapes have been grown in the fertile soil of Campania since ancient times, and one of the pleasures of traveling through this region in southern Italy is the chance to discover the unique varieties of wine produced in this area. From the rolling hillsides in the provinces of Benevento and Avellino to the steeply terraced vineyards of the Amalfi Coast and the islands of Capri and Ischia to the slopes of Mt. Vesuvius, the wines of Campania are as varied as the landscape…so let’s look at some. A white wine, delicate and with very low alcohol, with a fruity, flowery aroma has a straw-yellow color with green tints. Ideal to be sipped all day by itself or to accompany fish and seafood dishes. Forastera Another white wine with a straw-yellow color. The aroma is viny and slightly floral. It has a soft, dry taste. Ideal to accompany fish-based dishes and fresh cheeses and again, like the Biancolella, ideal for an all day sipping. Has an intense ruby red color. The aroma is viny and delicate, medium bodied with a dry taste. Wonderfully paired up with the traditional rabbit dish, grilled or roast meats and mature cheeses. The variety of red grapes called Aglianico is one of the most widespread in southern Italy, and it reaches perfection in the climate and terrain of Campania. Aglianico grapes are grown throughout the region, and are made into rich and full-bodied wines. They are also the base for the superb Taurasi DOCG wines made in the province of Avellino, the Falerno del Massico DOC wines produced in the province of Caserta and the Aglianico del Taburno DOC wines from the province of Benevento. Two varieties of grapes are grown throughout the region of Campania, and both make excellent, crisp white wines. One of Italy’s oldest grape varieties, and cultivated in Campania since ancient Roman times, Falanghina is the white wine of the region. Its slightly sweet and fruity features make it the perfect white wine to serve with fish, pasta or even as a summer aperitivo. Lacrima Christi del Vesuvio Local stories of heaven, hell and Lucifer’s fall are often told to explain the origin of the evocative name Lacryma Christi del Vesuvio, which means Christ’s Tears at Vesuvius. This name is used to describe the red, white and rosé wines made with grapes grown on the slopes of the volcano Mt. Vesuvius just outside of Naples. The red wine is a blend of Piedirosso, Sciascinoso and Aglianico grapes, while the whites are made with Verdeca, Coda di Volpe and Falanghina grapes. One of Campania’s most distinct wines grown throughout the region. Also called Per’e Palummo in Neapolitan dialect, these deep purple grapes received their unusual name, which means “red feet,” since the skin color of the grapes is reminiscent of the color of pigeon feet. While that idea might not sound so appetizing, the wines made with this grape are a Campania specialty. Bottom line…Our photography tour of Italy will be indeed dotted with some magnificent adventures, one of them is tasting the wonderful wines from this amazing rich area of Italy, rich in culture, foods, wines, scenery and lets not forget the world renounced southerners Italian hospitality…Wine is a way of life in Italy so when in Roma….. Hope to have a sip or two with you! This is our new Radio Ad – Assunta + Russell Photographers – promoting the Italy Tour 2017 and announcing the opening of the Port Townsend Studio. Eating and drinking through the Campania Region October 2 – 9, 2017. Rumor has it – Italy is beautiful, fun and the food does not make you fat. Just rumors. We’ll be eating and drinking through the Campania Region October 2 – 9, 2017. Italy Photography Tour is announced. $2550/ Person + Air. Napoli is a magical place where colors, flavors, culture and history are intertwined in a charming mix of knowledge, joy, and fun. A former Greek trading center, Napoli was established around 600 B.C. The area is loomed over by Mt Vesuvius and overlooks a marvelous bay whose beauty has served as a driving inspiration for many artists. Napoli is a real treasure trove of art and history evident in the many palaces, churches, monuments and art galleries. Life is truly lived here, in all its chaotic glory. You will feel and see a fiery and vivacious people who are ever so true to La Dolce Vita (The sweet life). You will taste amazing foods and wines while listening to the locals sing the old, popular songs incased in immortality. The city is alive with movement, its people engage nearly anyone in conversations and they love to interact just as much as they love to eat and savor food for hours on end. Napoli is alive, sunny, interesting and simple unforgettable! Italy Photography Tour – October 2017. Unique, Authentic and Unforgettable. Stay at and explore Ischia, one of the islands in the gulf of Naples. Once a Roman vacation spot, Ischia boasts with natural springs, colorful villages, beautiful beaches and local artesian shops. Naples with the passion of its people, colors, history and amazing food, will capture your heart as well as your belly. Pompeii… a vast archaeological site, once a thriving and sophisticated Roman city, Pompeii was buried in meters of ash and pumice after the catastrophic eruption of Mount Vesuvius in 79 A.D. Now a well-preserved site features excavated ruins that visitors can freely explore. The Amalfi Coast is a 50-kilometer stretch of coastline along the southern edge of Italy in the Campania region. Is a popular holiday destination, with sheer cliffs and a rugged shoreline dotted with small beaches and pastel-colored fishing villages. Truly a feast for the senses. Our vacation will be dotted with trips to incredible restaurants, beautiful gardens and breathtaking scenery, hikes through vineyards and ancient sites, gelato, real pizza and real espresso, great wines and, if we are lucky, a swim in the Mediterranean. Last but not least – a day of pampering in Ischia at one of the many natural thermal parks. The trip is to make amazing memories, take them back and live them forever. It is for amateurs who want to capture thought the lenses an amazing place shrouded in history, saturated with good foods, wines, and breathtaking scenery. Every day we will indulge in the wines of the area, eat the traditional foods and live La Dolce Vita. Some of the wines we will come across and taste are: Aglianico, Falanghina, Primitivo, and the ones made by the locals that will never be sold in stores…wines not known in the US, but truly an ecstatic experience for the palate. We know that it’s still early, but as Assunta says – “Opportunity has a shelf life.” We have been booking the 2017 Italy tour and if you are thinking about it – time to commit. Save your spot with a deposit – ASAP. This tour is limited to 10 people. Why a small group – even if more are interested? Italy needs to be Savored. Italy needs to be savored, one delicious slice at a time. We want to make a memorable experience for each of our guests. By offering each and everyone individual attention, hands on with cameras, answering questions and needs we are committed to a personal experience. We are not interested in quantity, but rather in quality. Why have we chosen the Campania Region? Assunta was born and grew up here in the area. She knows like the back of her hand and therefore, the experience will be that of a local and not a typical tourist. Southern Italy has been overlooked as all the attention is focused on the North. The South is full of history, true people and breathtaking scenery. The climate in October is perfect – 65-75 degrees. The South is also home to incredible wines and food – known worldwide in fact. The experience will be unique, authentic and unforgettable. Tips for guides, drivers, bellhops etc. National Drink Wine Day – Or Just another day in Italy. In Italy – every day is national drink wine day. Let’s celebrate together October 2nd in Italy.